Today we have an amazing interview with Christina who is the founder of Christina Ceo. In this interview, Christina shares tips and resources on how to build a successful Etsy shop and make full-time income right from home. In 2014, Christina decided to open up an Etsy shop with little to no experience and within months she was able to quit her corporate career to work full-time from home. 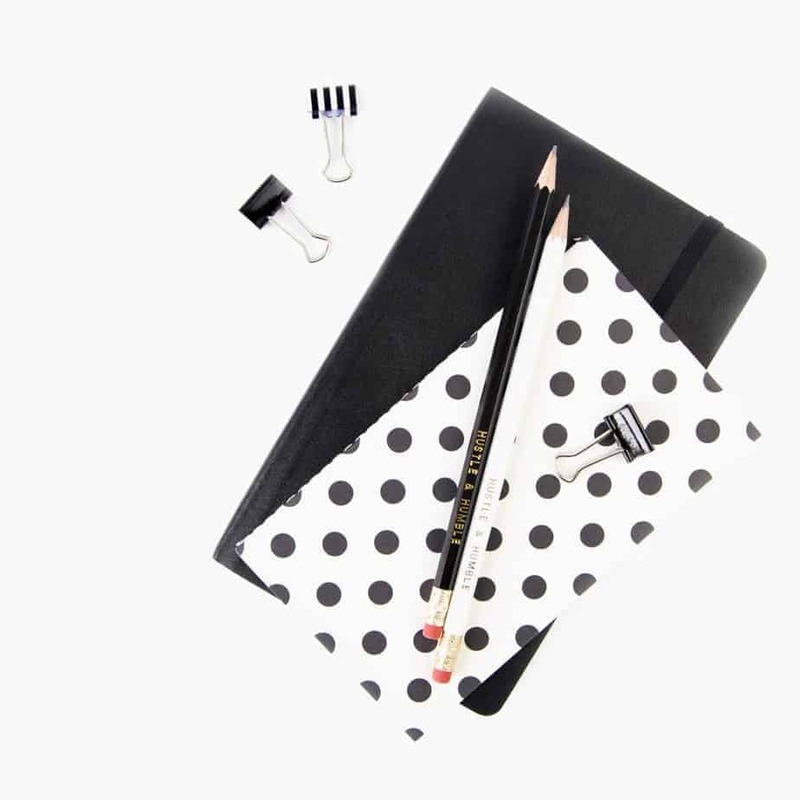 Now she earns six-figures a year with her Etsy shop. This interview will show Etsy creators how to grow their businesses and make money from home. Please give us a little background about yourself? How did you get started as an Etsy shop owner? How long have you been an Etsy shop owner? What type of product do you sell in your shop? In 2014, I was working as a graphic designer for a corporate environment. It was an entry-level job so I wasn’t making much money. I decided to open an Etsy shop to try to earn a little extra income to help pay my bills. At first, I started with something that I love to do; design. I would design custom invitations for birthday parties, baby showers, bridal showers, etc. At first, I was only selling digital files of invitations that people would download. I thought it was so cool that I could do something I really enjoyed and actually get paid for it. As more and more orders came through I realized I could make something out of this “business” and I just kept reinvesting the money until I was able to purchase machinery to sell printed invitations. So that’s what I sell on Etsy, custom printed invitations. What exactly is an Etsy shop owner? What do they do? What does a normal day look like? An Etsy shop owner is an individual that owns and operates a shop on Etsy. Etsy is an online handmade community! The items that you see listed for sale on Etsy are actually handmade by different people around the world. An Etsy shop owner may be a college student looking to make a few extra dollars with their crafts or they could be a stay at home mom with 3 children. Each day as an Etsy shop owner is different. A normal day for me is working right from my exercise class while my daughters go to daycare. My shop requires a lot of communication with buyers when designing custom invitations so I usually start with emails. Once I’m done with checking email I start printing orders that were approved by customers. After that, I go down to my basement office to cut the invitations down to size, package them up and print out the shipping labels. Then the rest of the day I spend designing new designs. What type of skill(s) does an individual need if they are interested in becoming an Etsy shop owner? Having great customer service skills is a must when you become an Etsy shop owner. Etsy recently changed their layout and buyers constantly contact me asking questions about my products. It gets frustrating sometimes to answer the same questions that are already listed in the description, but I know it’s not the customer’s fault. You also have to be prompt and make sure that you are sending out orders on time. You have to set a processing time for your products and Etsy holds each person accountable. If you’re not sending out orders on time they will “penalize” you by listing your products lower in search results. How much can a person expect to make per month? How much can they expect to make after one full-year? It really depends on the product that you’re making. If you find a profitable item to sell then you could expect to earn a couple hundred dollars a month just starting out. If you keep working on your shop and reinvest you could start seeing a good amount of money coming in after a year. I was making a couple thousand dollars a month after one year of selling on Etsy. I know for a fact that there are multiple shops on Etsy that are earning well over a million dollars a year. What do you like best about being an Etsy shop owner? I love the fact that I can set my own hours. I can do what I want and when I want. I don’t have to answer phone calls all day long. Most importantly, I can spend more time with my girls. What’s the best way to promote a new shop on Etsy? In all honesty, I don’t spend too much time promoting my products. I know, that sounds weird and I really should, but I spend more time creating quality listings. I work really hard on SEO (search engine optimization) and creating quality products. If there’s one platform I would really recommend promoting your handmade products it would be Pinterest. What are 2 ways someone can find success on Etsy? 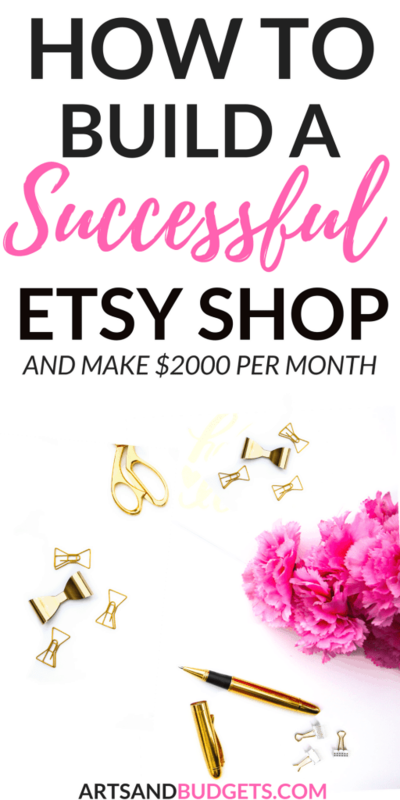 You can find success on Etsy if you really work hard on your Etsy shop. Spend as much time as you can to absorb any information that you can about selling with Etsy. Read books, blogs and listen to podcasts! Secondly, pick a product to make that you absolutely love. If you don’t absolutely love the product that you make then you will get bored with your business or you will procrastinate and fall behind on orders because you don’t have the energy to create the products. You might start out selling one product that you think you love, and down the road, you might find something even more exciting to create. What are your go-to resources for a shop owner? Pinterest is my favorite resource to find advice related to selling on Etsy. I love to read blogs so that’s where I find a lot of great information. There are also a lot of helpful Facebook groups related to selling on Etsy. Facebook groups are so resourceful because you can ask questions and receive answers from other shop owners. They are great for getting personalized advice. Check out the Handmade Journey Facebook group. Any additional tips you would like to give someone interested in a becoming an Esty shop owner? Don’t always put all your eggs in one basket. Besides selling products on Etsy, you can also sell handmade products on Amazon. Always look for other platforms which you can sell your products on. Search engine algorithms are constantly changing and that’s why I highly stress to sell items on multiple platforms. This is such an informative post. I honestly had no idea about how to go about this . I’ve always considered opening an Etsy shop but I don’t know what I would sell. But when I do, I feel better prepared to launch. Thanks! Wow, I had no idea! It sounds relatively easy. I always wondered how it worked. I need to try it out, it would be good to have a bit of extra money a month. Thanks for the tips . I think etsy Shop is really a good way to earn money from home.. These are such great tips! I’ve always wanted to work from home and thought of making an Etsy shop. I love to make things so maybe I should try.